The holidays have come and gone, summer is months away. Punxsutawney Phil proclaimed that spring will be early, but there are still more holidays and pop culture events ahead. In February we have Valentine’s Day, President’s Day, Super Bowl L, GRAMMY Awards, and Black History Month. These are all prime opportunities for brands to use social media. While holidays and pop culture events are no surprise, there are many benefits of using them in your overarching social media campaigns. As a brand, your social media accounts should be engaging your audience in conversation and converting them into customers. Using holidays and pop culture events allows brands to be authentic and more human with their social media audience. I’ve rounded up 4 steps to using holidays and pop culture events to create a social media campaign. 1. Determine how your brand fits. Review your social goals and determine how you’ll measure the campaign results. Perform a quick Google search of holidays and events happening in a given month. Make a list of the ones that will resonate with your brand the most. If your brand is a sport retailer then focus on Super Bowl L and Valentine’s Day gifts for active couples. 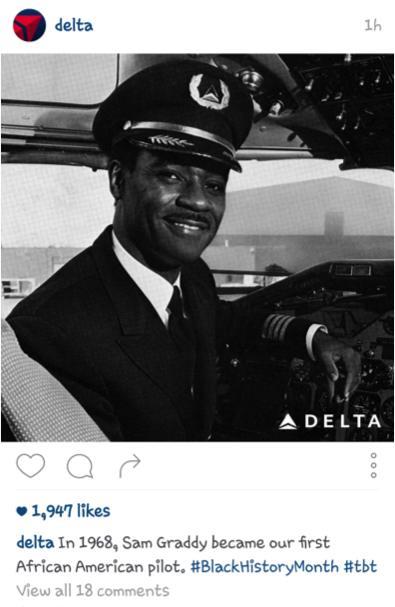 Delta Airlines did an excellent example of this using #BlackHistoryMonth on Instagram, by highlighting their first African American pilot. While it is just a single post under the hashtag, it shows Delta Airlines as a collection of pilots, not just planes. Using your list of holidays and pop culture events, brainstorm how your audience fits in and what holidays resonate with them most. If your brand is a clothing store, you might think about sharing outfits perfect for a GRAMMYS party at home, or asking your audience to post how they’re wearing your clothing. Don’t forget to research what your brand did last year as well as a few of your competitors or inspiration brands. Think about how they’ll be using your brand during the events that relate to them and lead with that. 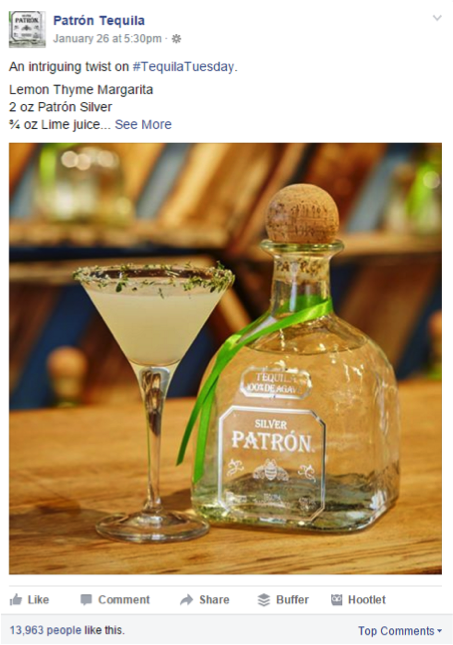 Patron Tequila went simple with #TequliaTuesday. 3. Bring in the team. If your campaign needs the hands of your Customer Service, Marketing, Graphic Design, or Sales departments, bring them in for a meeting to go over the campaign. If your brand has a call-in offer, your Customer Service team will need to be aware of all the details. Ask your team if they have any input on the campaign as well. Your Sales team might have feedback on what they see in the field. 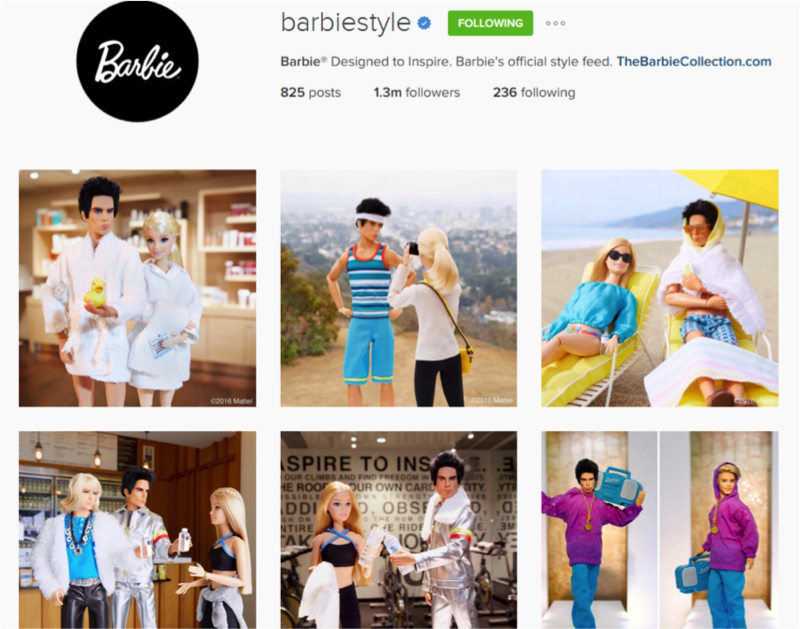 Barbie Style does a great job of a long campaign, promoting not only the iconic doll but upcoming sequel Zoolander. A campaign of this detail would take the cooperation of multiple departments and be overseen by the social media team. 4. Execute and have fun. You’ve made a list of holidays and pop culture events that resonate with your brand’s audience. You’ve brainstormed campaign ideas and you’ve informed the team. Now it’s time to execute your social media campaign. Use a content calendar to schedule your posts and scheduling tools like Hootsuite, Buffer, or Sprout Social. Keep your goals in mind as you execute the campaign and review results regularly throughout the length of the campaign. Adjust your posting time or call-to-action as necessary to achieve your goals. Remember to have fun with social media. Your brand’s audience is engaging with you because you related to them with holidays or pop culture events. The key to using holidays and pop culture events to create a social media campaign is to use your brand voice to engage with your audience on their level. Social media allows brands to have fun and stay top of mind with their audience. Amanda is a creative and vibrant Social Media Consultant based in San Diego with experience managing social media campaigns, developing relationships with bloggers, brand development, creating and curating content. We feature guest contributors who have something valuable to share with our readers about social media marketing. These are not compensated and we only feature unique content. We give guests the credit they deserve by showcasing them all over our social media and linking back to their stuff. Do you have something to share? Inquire about guest blogging today. Facebook VS Instagram: Which Gets Better Engagement?